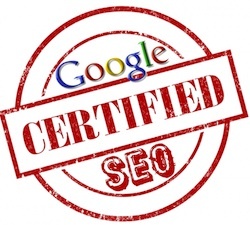 Professional SEO Services are the only way to get the best results! Lest face it, most clients do not have the time to manage their SEO marketing campaigns on their own. As a result, we are often hired to perform professional seo services (search engine optimization) on their site. Professional SEO Services By Webvisable, Inc.
Our Small Business Program is ideal for firms that want a focused turn-key solution that does not include training or education, this program is ideal for those that let us take the wheel. It is feature rich, inclusive of a lot of approaches, and it is aggressive. We have designed a Small Business Program that is lean, fast and effective. Discovery Interview – We perform a discovery interview to learn about the business model, target audience business goals and objectives of the search engine marketing project. Site Review – We review and evaluate the site from an organic search engine optimization perspective. The purpose of this SEO ranking service is to critique the site, identify potential problems and provide recommendations based on best practices. The review and evaluation will include topics such as the site architecture, page construction, content, Web server configuration and link popularity. What we find in this review will guide the ongoing project, and we will repeat this process as needed throughout the project. Keyword Research and Analysis – We research, analyze and recommend a list of targeted keywords to be used in the professional seo services and, or, search engine marketing project. The client will select final targeted keywords from this list. Research, Analysis and Page Editing – Researching and analyzing the behaviors of competitors and the search engines is key to every project. Along with ongoing research, we will edit the Web pages throughout the term of the project. Since organic SEO is a highly iterative process, we will need to re-edit these pages periodically. Search Engine Submission – We “hand-submit” revised Web pages to the monitored search engines. Search Engine Ranking Monitoring – We will utilize approved search engine API interfaces (paid) to monitor the unbiased ranking of the domain and specified Web pages for the keywords of the website. We will provide online access to proprietary ranking reports (Domain Ranking Report, Ranking Report by Page Name, Ranking Report by Keyword) showing the ranking of the website in the monitored search engines. 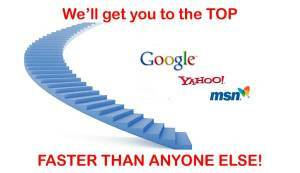 Competition Ranking Reports – We provide online access to proprietary Competition Ranking Reports showing the ranking of the top ranked competing websites in the monitored search engines for each keyword. Project Communications and Status – We provide scheduled semi-monthly conference calls at mutually convenient times. We also provide a monthly status report summarizing actions, progress, issues, and recommendations appropriate to the project.